The Cucumber Gap Loop is a great option for someone wanting to see a little bit of everything the Smokies have to offer. With only a 6 mile loop, hikers can have riverside scenery and mountainside forests all in one afternoon! In every National Park there are areas that are crawling with tourists, but often just beyond the parking lot, serenity can be found. 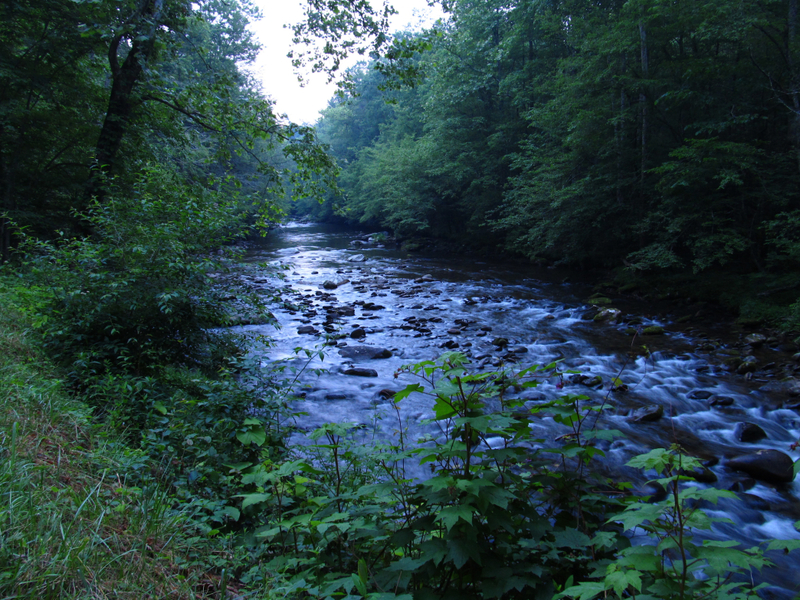 In the Great Smoky Mountains, the Elkmont Campground is one of these areas. 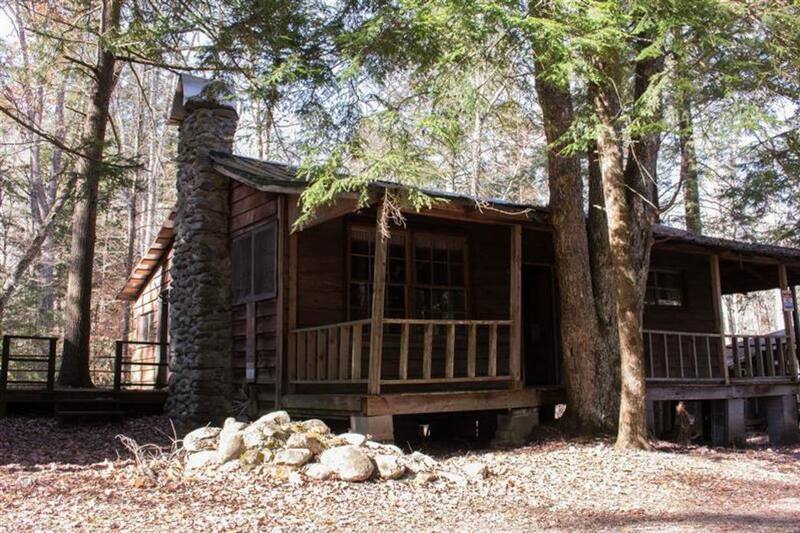 With the gorgeous Little River flowing down from the hills, towering sycamores and poplars, dense rhododendron lining the trail, and the abandoned community homes of Elkmont greeting hikers at each end of the hike- the Cucumber Gap Loop is an absolute delight. This beautiful loop is just a few miles off of the main park road, and the low elevation change makes it accessible to absolutely anyone. The Little River is one of the most scenic water areas in this National Park, so anyone who hasn’t seen this beautiful area should check it out. For hikers making the trip during the spring this trail will display beautiful wildflowers, while during the fall months the mountain colors are notoriously good here. Although the hike clocks in at just under 6 miles for the full loop, you will feel totally immersed in the mountains. This loop can be hiked in either direction, but most users will begin at the Little River Trailhead and follow the Little River upstream along an old gravel road for just over 2.5 miles. Along this trail, you will have a constant view of the river, which cascades down from the higher hills and provides the perfect trout fishing spot. Photographers will love the bright green mosses that line the riverbank, and can often be seen near the trailhead with all their gear. The Little River Trail continues along the river for several miles past your turn for this loop, so if you are looking for more distance or just love the flat and scenic Little River Trail feel free to continue on without turning. If you are hiking the loop, you will turn right on the Cucumber Gap Trail when it intersects, leaving the riverside and climbing slightly in elevation towards the hillsides above the river. During the spring months you will find trillium, spring beauties, and trailing arbutus lining this section of trail by the hundreds. The Cucumber Gap Trail will take you about 2.3 miles back towards Elkmont, intersecting the Jakes Creek Trail (Turn Right). The final half-mile back to the car on Jakes Creek will take you along most of the old Elkmont homes. Hikers and trail runners will have the most fun here, but backpackers will frequently be seen using this trail to get to or from their campsite of choice. No matter if you are a dedicated hiker or simply wanting to walk for a mile or so, either leg of this trail is well worth the time. To get to the Little River Trailhead, turn towards the Elkmont Campground and follow the signs to the Little River Trail (it will be a left turn). The parking lot is well marked, and if it is full there is overflow parking if you continue for another 100 yards towards the Jakes Creek Trailhead. Backcountry camping is permitted, but only with a permit that can be obtained at the park’s visitor’s centers.